This is one of those watches that can cause distractions - the dial, hands and overall design make such an impression that is very difficult not to glance at this watch frequently. The Thomas Ninchritz Grand Seconde takes it name from the large second hand at 6. This watch is of classic design, with Roman numerals and Breguet blued steel hands. The dial is special, and is coated in silver. We like the subtle engraved patterns featured on the inner section of the dial. 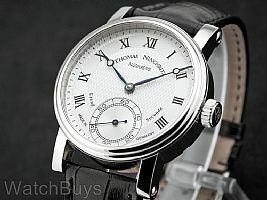 "TN 005 Grand Seconde Watch"
Verified Owner Comments: This watch is beautiful. The detail is incredible. The craftsmanship is exceptional. I am proud to wear this watch. And enjoy showing it off when asked about it. 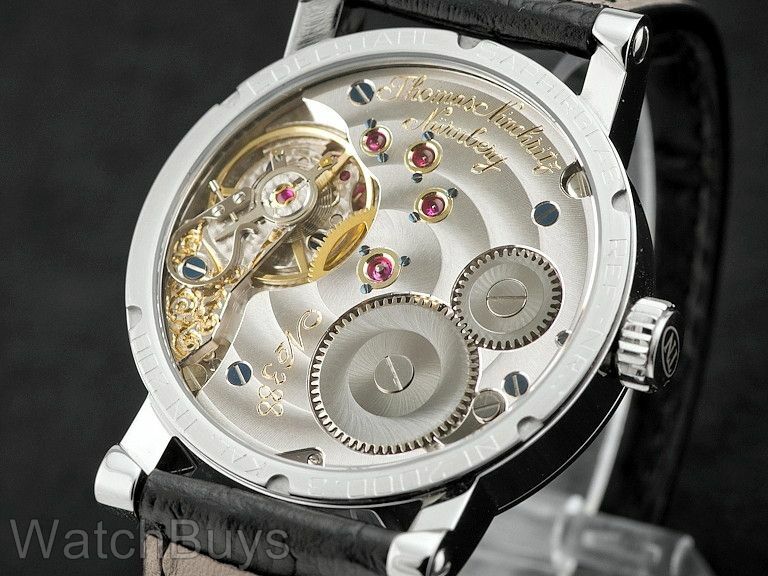 I can't wait to see some new creations from Master watch maker Thomas Ninchritz. I feel privileged to have this watch. I will have it forever and hand it down.